Plaid Cymru are spearheading a campaign to stop the use of troops on the streets and the imposition of ‘martial law’ post-Brexit. Working with the Peace Pledge Union, the Welsh party’s Defence Spokesperson, Jonathan Edwards MP has tabled a motion calling for the Defence Secretary to rule out the use of armed forces personnel for police functions or for social control, and to make clear that the imposition of martial law is not under consideration. In December 2018, No. 10 sources said that 3,500 armed forces personnel were being put on standby to deal with any disruption in the event of a disorderly departure from the EU. Then in January, The Sunday Times revealed that Whitehall officials have been gaming a state of emergency and even the introduction of martial law in the event of disorder after a no-deal Brexit. The plans included moving the Queen to an unknown location. Alongside the motion – known as an Early Day Motion – Mr Edwards has tabled a series of questions to the Secretary of State for Defence seeking to clarify whether he has any plans to impose martial law and if he will rule out the use of troops on the streets in place of police. As well as serious concerns about the economic and democratic implications of imposing martial law, Mr Edwards is questioning whether the army is appropriately equipped to deal with roles normally reserved for the police or civil agencies. The effects of police cuts and whether this plan puts the public at risk must be considered, the Plaid Cymru MP said. The last time states of emergency were declared in the UK was in the early 1970s to deal with the effects of strikes in essential services. “It is both absurd and terrifying in equal measure that the British state is considering putting soldiers on the streets as a result of their own bungled Brexit policy. The British Government must clarify the mission statement it has sent accompanying the call up and calling for it to be published. “Martial law is probably the most serious domestic decision any government could make and is not to be taken lightly. 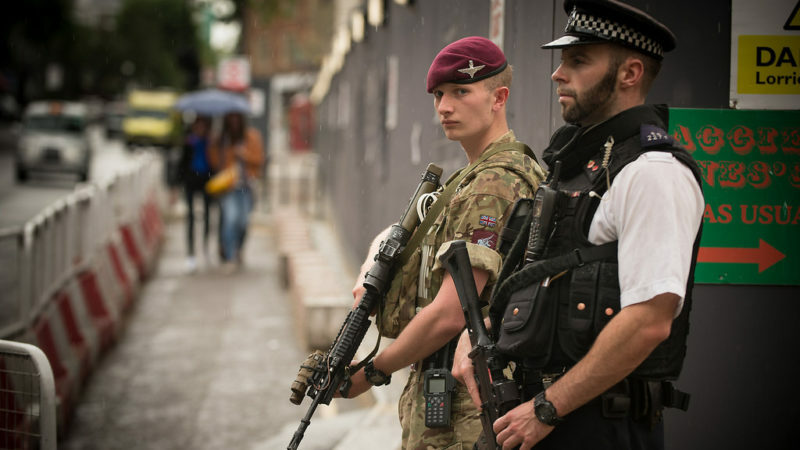 “Contemplating putting soldiers on the street is surely proof enough that the Westminster Government cannot continue with their dangerous deal or no deal gamble. “Gavin Williamson has so far failed to deny reports that the UK government is looking at using troops for social control, or even considering martial law in the event of civil unrest. The Early Day Motion is available here.